Every cook has in his or her kitty simple dishes that can be rustled up in a short time. 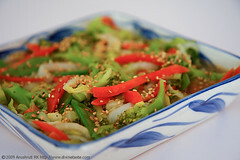 I find that stir fried vegetables with toasted sesame seeds is a very useful dish to know when I want to spend less time in the kitchen and at the same time eat a wide variety of vegetables. 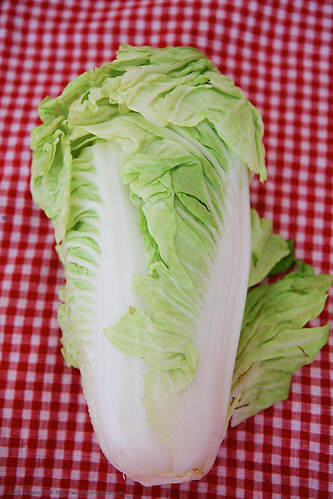 When I started reading up on Chinese cuisine, I got introduced to the wonderful concept of stir-frying (cooking vegetables over high heat for a short time) which food historians believe is the unique contribution of the Chinese to the culinary arts. This marvelous technique of stir- frying preserves the taste, texture and nutrients of the ingredients used. What’s more? One can constantly explore and experiment with a wide variety of flavours and textures depending on the produce available in the markets or what is immediately available at home. Today other than to write about food, I also feel compelled to talk about my current feelings. divinetaste has been a long cherished dream, which unfortunately did not begin as soon as the idea was conceived. I would like to reserve this story for another day. There is so much to experiment, write, catalogue and photograph for divinetaste and I’m currently unable to keep up the pace at which I would have liked to go. I really don’t know how many more posts ill be able to make before the dday arrives. The days following the big day are even more uncertain, but I’m hoping that my long cherished dream of making a reliable database of diverse vegetarian divinetaste recipes, catering to a variety of needs and occasions is gradually built up over a period of time. You can use any vegetables like bok choy, asparagus, bean sprouts, French beans or baby corns other than the ones listed below. 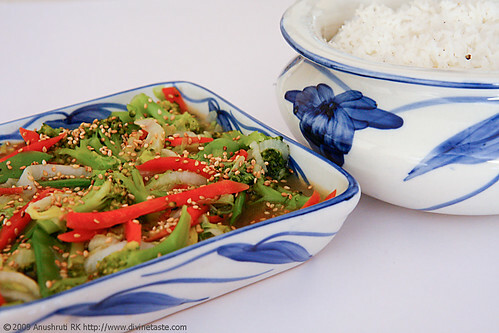 I served this vegetable dish with buttered, salted and peppered rice. Blanch the broccoli. Mix the corn flour with the water and make a smooth paste. Heat the oil in a wok and stir fry the ginger, cabbage and all the other vegetables for 3 to 4 minutes on a high flame, taking care not to scorch or burn the vegetables. Lower the flame and stir in the soy sauce, sugar and corn flour mixture. Add the salt and pepper. Sprinkle the sesame seeds over it. Cook on a medium flame for 3 to 4 minutes until the liquid comes to a boil. Serve hot with rice or noodles. wow. sounds like a perfect dish for me. love those simple, quick-to-make, colorful and yum recipes. not that i dont try the complicated ones… i tried tht jackfruit pulav. i followed it to the 't' (try hard to) cos if its worked for you it will work for me. oh the dday. certainly uncertain it seems, god! cant wait for tat. Anu hi, i tried this recipe last weekend and it was yummy! The flavor was so chinese and sprinkling of sesame seeds did wonders! The only extra thing i added was some chopped onions. Next time i'm going to omit it. Hi Anushruti, I have been a silent observer of your wonderful website. Loved all your recipes. I was actually looking for a satvik food website that is when Ifound yours. Have also tried your tomato coconut rice & spicy tomato pickle. Absolutely devoured it. Can you pls tell me how to prepare satvik noodles (esp Pad Thai or Hakka Noodles)? Thanks in advance.. Keep up the good work..
Maithireyi: Will post noodle recipe sometime. Thanks for your feedback. Look forward to hearing more from you! It looks yummy I make this with Tofu lightly crispy ,spicy my daughter who is a teenager loves tofu in any form ,which I encourage her to eat more healthier ,more nutritious. Love to serve this with nutty brown basmati rice or soba noodles even brown rice noodles. Naganaresh: That's a good combination.